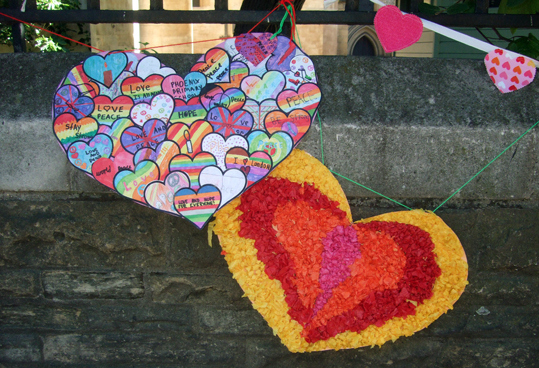 This is a picture of hearts on the wall outside Southwark Cathedral created l to promote love and peace in the wake of the attacks at Borough Market on 3 June. I took the photo yesterday as I walked through the area, and they are just two of the hearts made by children from Phoenix Primary School to remember those who died and in a spirit of hope for the future. There were also lots more hearts put out on Saturday,which were made by people from all over the world by the group #AHEART4LDN.